Looking to update your wardrobe on a budget? 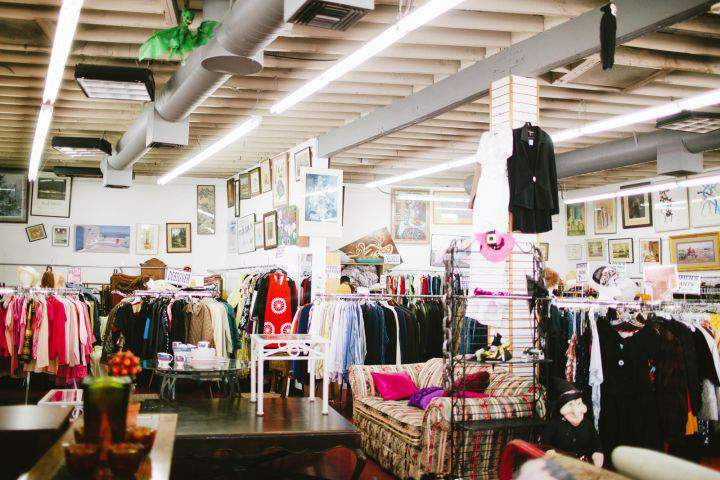 Here’s 9 tips to finding great plus size finds while thrifting! I love thrifting, especially when you find something cute, trendy, well made, and cheap to boot! Plus, it recycles the gently used and prevents more waste buildup in our landfills. But shopping second hand for plus sizes yields a few challenges, along with great rewards if you have some patience and a few good tips for finding great plus size scores while thrifting. Ready to head out on your own plus size treasure hunt? Here are my personal, in the trenches gleaned tips for my curvy thrifting women. Ignore that size sign on the rack. Some thrift stores may label their plus sizes from XXL while others will use the standard 1XL and up. Actually look at the label. An XXL may be a 2XL or not. An XXL in Ralph Lauren is not a 2XL for me. Inspect the items thoroughly. Sift through the racks and really look over promising garments, just because a shirt seems cute and trendy, it might be threadbare or have a surprise ruffle (I’ve been there). Look for missing buttons, zippers that open and close easily, along with rips and tears. Just try it on. Try on a range of sizes close to your usual size. One brand’s standard size 24 might be another brand’s 26. Or a size 20 might actually be too large. Because clothes come in so many styles and cuts, it will benefit you to try them on and to try various sizes. And don’t get depressed if clothes in your usual size seem to small. Thrift store clothing has been worn and washed, perhaps multiple times, and may have shrunk. Can you do some tailoring? A few sewing basics can make a shirt go from drab to fab, or transform an ankle length dress into a sundress. Pants can become capris, and even shorts. It might be a little work. But for the price and the end result, and the one of a kind look, you can’t beat it. Need some inspiration? Check out the Thrifted Transformations Channel on Youtube! Go with your first impression. Your first impression is a great style meter. If you come across a shirt that’s just your size and just your color but the fit looks off, go with that gut feeling instead of wasting time in the fitting room. Don’t buy everything! You need clothes, but hey – don’t just buy everything that fits. If you want to build a great wardrobe be patient and hold out for a piece that you really love, or that have potential to be turned into something you know you will wear and enjoy. Otherwise those clothes will go right back to the thrift store. Shop vintage! Thanks to high wasted jeans making a comeback, the jeans section might be your new best friend. Where once, “mom jeans” were the bane of thrift stores, now those mom jeans could be just as cute as a pair of jeans from Old Navy, and for much less. Create the trend. Check out current fashion trends and see what kind of garments you can find in your local thrift store, but keep an eye out for classics too. The foundation of a great wardrobe is always those timeless essentials that rarely go out of style. Keep in mind however, that plus sizes are not as prone to fast fashion, and because the market selection is smaller, plus size women have a harder time finding good clothes, therefore they hold onto them longer and are less likely to donate them. Shop the whole store! Remember to check out the rest of the store for great shoes, jewelry, purses and other accessory finds. Thrift stores can be a scarf mecca, and with the exception of shoes, accessories are not limited by size so everything is fair game. And check out the men’s section too. Especially for larger size comfy flannel shirts and oversize sweatshirts for those nights when you just want to curl up on the couch in something warm and cozy. Style, trends, and fashion are really in the eye of the beholder. And like the saying goes, one woman’s new favorite crop top tee is another woman’s thrift or consignment giveaway. So, when looking for your new summer look, add thrifting to your shopping arsenal. Even with the challenges of plus size shopping at thrift stores, you might be surprised at some of the treasures you score! These Big & Tall Influencers Show You How to Rock JCPenney! Love these tips! I would add wear something comfortable, take hand sanitizer, cash, and a snack! If you can sew, tablecloths, vintage sheets, large scarves, and my fave, saris, are great sources of fabric, as well as the more obvious donated cuts of yardage. I don’t even bother trying to look for my sizes in thrift stores. I feel there is probably so little available in my size that it simply is not worth the effort involved.